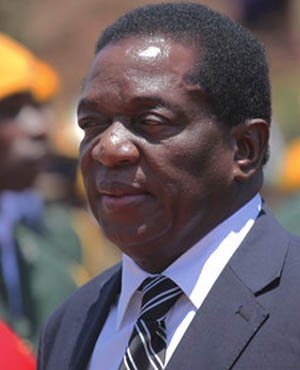 Sacked Zim VP Mnangagwa in China? 'Fluid, unpredictable – but Mugabe stays in power': What happens next in Zimbabwe? Harare – Former Zimbabwean vice president Emmerson Mnangagwa has reportedly arrived in China following his dismissal from his post by President Robert Mugabe on Monday. A report by New Zimbabwe.com quoted a military source as saying that Mnangagwa's journey was made possible by the country's faction riddled war veterans head Chris Mutsvangwa. Mutsvangwa himself was the former ambassador to China. "He (Mnangagwa is now in China. War veterans chairperson Christopher Mutsvangwa facilitated the journey," the military source was quoted as saying. Mutsvangwa could neither deny nor confirm the developments, referring all questions to Mnangagwa's family, the report said. Mutsvangwa addressed a press conference in Johannesburg earlier this week where he announced that the Zimbabwe’s War Veterans Association had expelled Mugabe as its leader. "We have completely disowned Mugabe," said Mutsvangwa. Mugabe on Monday fired Munangagwa, the man who for so long looked like he would succeed the longtime Zimbabwe president. This came after Mugabe - and particularly his wife Grace - had been stepping up their verbal attacks on Mnangagwa, 75, for weeks. The first couple were outraged when Grace was booed at a rally in Bulawayo on Saturday. That was blamed on Mnangagwa bussing in his supporters. Grace led exactly the same charge against a vice president in 2014, when she got Joice Mujuru fired. Reports on Friday indicated that four people had since been taken to court for allegedly booing the first lady. They faced a charge of undermining the authority of the president.